House of Secrets : JimiArt!, excite your soul with art! 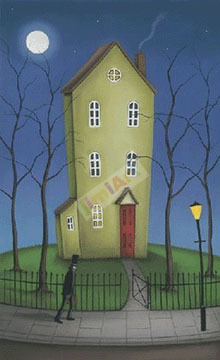 "House of Secrets" is an oil painting by artist Paul Horton. Paul's style is very remeniscent to the artwork of film producer Tim Burton.